I hope people still stumble across that blog and gain some insight, inspiration, information and humor from it. For numerous reasons, I did not include photographs in that blog. It just was not part of the journey I felt like sharing at the time. However, I admit there is truth in the adage that, “a picture is worth a thousand words”. 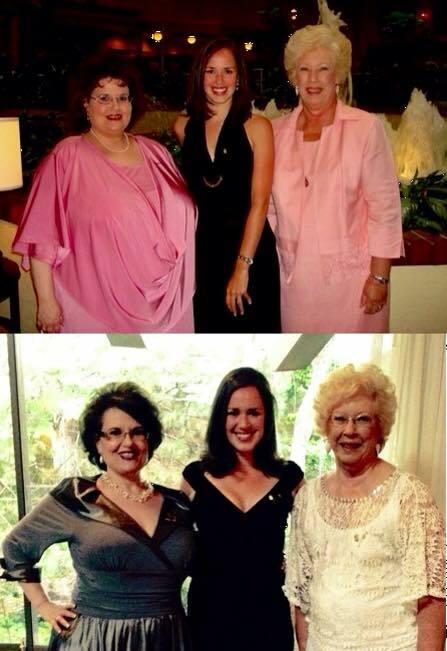 So on this, my 5-year-Surg-I-Versary, I am posting some before-and-after pictures…with some caveats. I have bounced back from my lowest weight, more than I would like. And I am working on shaving some of those pounds away. It is a lifelong journey and my weight will always be something of a struggle. That is all part and parcel of this process. Even with my bounceback, I am profoundly grateful that I am not where I started. I am stronger and healthier than before surgery and I am free from the hip and ankle pain that drove me to pursue surgical intervention after having exhausted every other means available to me. Weight loss surgery is a true last resort and should only be considered when all other measures have failed. Knowing all that I know now, I would make the same decision. For me, it was what I needed, when I needed it. So, here are some pictures. Me. Just plain old me. July 2009 and April 2017. I’m not where I want to be, but thanks be to God, I’m not where I used to be. Life is good and I’m healthy. I am blessed and greatly loved. I am thankful. This week many people observed National Best Friends Day. I think it’s a nice idea to recognize the value of friendship and to appreciate the people who add such richness to our lives. It got me thinking about the many “best friends” I have enjoyed over the years…and why I can’t really say that I have ONE best friend. There were the earliest friendships I enjoyed with my brother and cousins, before school started and we met all those other kids in our age group. Even though I am not as closely in touch with my cousins as I’d like to be, they are in my heart always, and I would give any of them anything I could offer if they were in need and I could help. We share memories, blood and decades of love. Then came the school friends, those people outside my family circle, the ones I met and learned how much we had in common. Those moments of discovering that we liked or disliked the same foods, or shared a favorite song or hobby, were the youthful foundations upon which some of my longest-time friendships were built. I am still in touch with some of my grade-and-high-school friends on social media, and seeing how their lives have progressed to this point is both fun and rewarding. The church and college friends began my deepest connections, ties that bind us across years and miles to this day. My college graduating class has a milestone reunion coming up this fall at homecoming, and I look forward to seeing many of my classmates there to reminisce about our times in the dorm and the music building. My roommates especially helped me bridge the transition between living at home with my parents and making a new home with my husband. I crave in my heart to see Janet and Dana, and soon. It has been WAY too long since the three of us have been together. These days I am still making college friends through my connections as the Chapter Mother for Alpha Gamma Chapter of Delta Omicron International Music Fraternity at Carson-Newman University. Getting to know these young student musicians and to encourage them has been my joy for almost 10 years now, and I hope to continue in this capacity for many years to come. My musician friends come in all ages, shapes and sizes, with specialties ranging from voice and instruments to conducting and composing. These friendships help me to continue growing as a musician and as a human. I’m grateful that almost every job I’ve held has yielded one or two lasting friendships as well, and since I’ve worked in predominantly male environments, I refer to some of these fellows as my “work husbands”. At my first TV job, there was only one other woman in my department, a top-notch board operator named Linda. We referred to ourselves as The Gyno Mafia! I have a dream team of current and former coworkers I would surround myself with if I ever had the chance to build my own company. The combination of professional excellence and wacky humor makes work a lot more fun, and shared goals (and grievances!) give us much to share. So many other “best friends” come to mind. Mama and The Aunts who wait for me in Heaven. My precious husband, who, after nearly 30 years of marriage, is still my favorite person to spend time with. And our beloved, goofy dogs, Ernie The Wonder Beagle (in Heaven) and Our Boy Roy, who has been part of our family for almost 9 years now. So, who is my “best friend”, really? They all are! And if I spent the rest of my life counting the reasons I love them, I would never finish. My blessings are countless. Yesterday I was reminded just how blessed I am, through the friends God has placed in my life. I see Him in their faces, feel His love in their hugs and smiles. I hear Him in their voices as we sing together, as we laugh, as their sweet words offer counsel, comfort and affirmation. Meetings both planned and unexpected filled my day, feeding my body at lunch and supper, and my soul throughout the hours. After running a quick errand I stopped for lunch and ran into my sweet friend Valencia, a member of my CPE (Clinical Pastoral Education) peer group from 2012, who has been on my mind for a couple of weeks now. I was about to sit down and found myself instead scooped up into a long and joyful hug, the kind only Valencia can give! And then she invited me to join her and her precious daughter for lunch. We enjoyed a meal and a visit that nourished me in more ways than I can count. It was a total God moment running into her, a blessing I didn’t realize how much I needed until it happened. Afterward I proceeded to my friend Clay’s church for a couple of hours jamming at the piano and organ, him playing as I sang. After the singing came a long conversation and some catching up. Clay is a former Delta Omicron student, a reminder to me of my own student days and the value of the mentors who guided me when I was young and trying to find my way. I’m still finding my way in some areas, a work in progress as we all are, and it always amazes me how people like Clay offer such reinforcement without even being aware of it. After this I had my nails done and then met my friend Tina for supper to discuss “life stuff and musician stuff”. I’ve known Tina for 30-plus years and sung with her in several ensembles over the years, from college to now. She is a Delta Omicron sister from our college days, a level-headed, intelligent, grounded woman whose counsel I trust and whose love for God inspires excellence in all she does. Sometimes I need a gut-check with people like that, and our meal together offered me assurance that some recent decisions I’ve needed to make came from a place of priorities rather than of pride. If I started counting my blessings right now and did nothing else for the rest of my life, I’d never complete the list! Yesterday’s encounters, planned and spontaneous, reminded me how much God loves us through the love of other people. My friends and family serve as God’s hands and feet, His eyes of compassion and His voice of reason. Gracious God, please use me this way in someone else’s life, that they may see Your blessings through me. Some of the dates in my life, or in my family or friends’ lives, are significant for different reasons. Mama’s birthday on Independence Day, Aunt Martha’s on Cinco de Mayo, Uncle John Bryant’s on Leap Day, all seem to speak to their personality traits and characters. My friend Paula has had numerous strange and sad events to occur on March 17 in different years. Over the years some of my Delta Omicron students’ recitals have been on memorable dates as well, such as Friday the 13th, or Halloween. This year one of those recitals happens tomorrow, and this student will always remember her Senior Recital date. April Fool’s Day. April Fool’s Day has significance for me as well, as it is the grant date stamped on my FCC permit. Back in the Stone Age when I began my career in broadcasting and media, a person had to apply for a permit from the Federal Communications Commission in order to operate a transmitter at a radio or TV station. Those permits had to be posted in a central location in the station. The last place mine was posted, it was taped into a binder, and when I removed it, the tape ripped off part of the text on the back side outlining the rules and regulations, and what it was illegal for me as an operator to do on the air with our signal. I’ve joked over the years that my April Fool’s FCC permit grant date foretold what my career would hold in store! The fact is, I had no idea about the journey upon which I was about to embark. I was flying blind. I had not gone to school to prepare for a career in radio and television, so I graduated from the “earn-as-you-learn” school of radio on my first job. And for years, because I hadn’t studied broadcasting in school, I felt like a fraud and secretly feared that the Media Police would eventually discover me and throw me out of the business! It turns out that my career in broadcasting has yielded me some of my most lasting friendships, taught me valuable skills and spanned nearly 3 decades. From my first radio job where I played actual vinyl records and my first TV master control position using an antiquated commercial tape sequencer called Digitrol (a nightmare machine with a 9-second pre-roll! ), I have seen old technologies fade away and new ones emerge. Radio and television also seem to attract creative types. I’ve worked with more writers, poets, artists and musicians than I ever dreamed possible outside of the professional music and art world. I always tell the young people I work with through Delta Omicron to “have a plan, but be open to surprise”. Over the years I’ve learned that God takes us where He does, when He does, for a reason. Had I not been open to surprise—to flying blind—I would have missed my whole career and all the blessings it has brought me. I am still very actively involved with music and pray that I always will be, as long as God gives me opportunities to serve Him in that way. But my profession has been elsewhere, at least to this point. And God has given me chances to serve there as well. So it’s all good. I’m still in many ways flying blind…and still very much open to surprise. Proverbs 3:5-6 gives wonderful advice. “Trust in the Lord with all thine heart, and lean not unto thine own understanding. In all thy ways acknowledge Him, and He will direct thy paths.” WhereEVER those paths lead. Recently I had the pleasure of attending the 2015 Triennial Conference of Delta Omicron International Music Fraternity. The fellowship of musicians from all over the country is one of the best parts of attending Conference, as well as getting to know students from my own chapter better. I have mentioned that I serve as the Chapter Mother for the Alpha Gamma Chapter of Delta Omicron at Carson-Newman University. But I have never shared how my association with Delta Omicron began or how I came to my current place of service. I was initiated into Alpha Gamma Chapter as a second-semester freshman at Carson-Newman, the earliest chance I was eligible to join. The ideals of Delta Omicron appealed to me, and many upperclassmen I respected were members. Plus they seemed like they really enjoyed themselves and each other. I just knew that Delta Omicron was something I wanted to be a part of. My student days as a member of Alpha Gamma Chapter provided me with many opportunities for growth as a musician, a leader and a servant, including some experiences I never imagined. 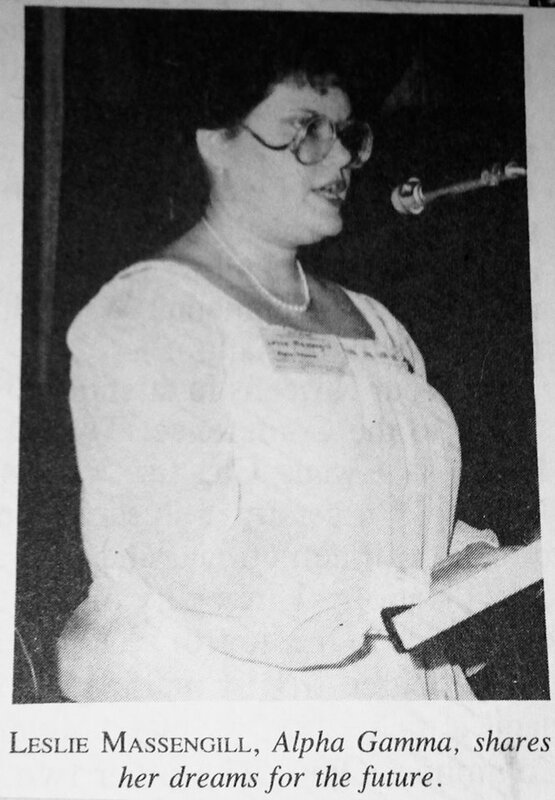 My first Conference experience was as a student when, in 1984 as a rising junior, I attended the 75th Anniversary Triennial Conference. It was held at Kent State University in Ohio. 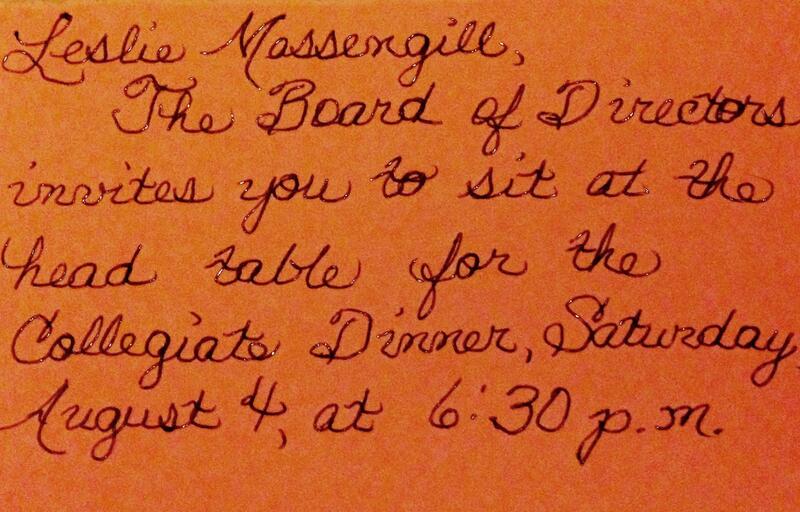 A few weeks prior to the event I received a letter from the Board of Directors inviting me to be the speaker for the Collegiate Dinner, sharing my visions for Delta Omicron’s future. I’d never given a speech before and I had no idea why they had picked me to do it! But it was then that I learned that public speaking is fun and I actually enjoyed it. It was an honor to sit at the head table with “the grown-ups”! Our chapter had established a long and distinguished heritage of excellence even when I was a student. Established in 1966, Alpha Gamma has been guided throughout its existence by Chapter Advisor Ann Jones, a consummate musician and educator, a humble servant and a treasured friend. She was a huge influence on my college career and a large part of why I wanted to join Delta Omicron. I think many members of Alpha Gamma Chapter through the decades feel the same way. 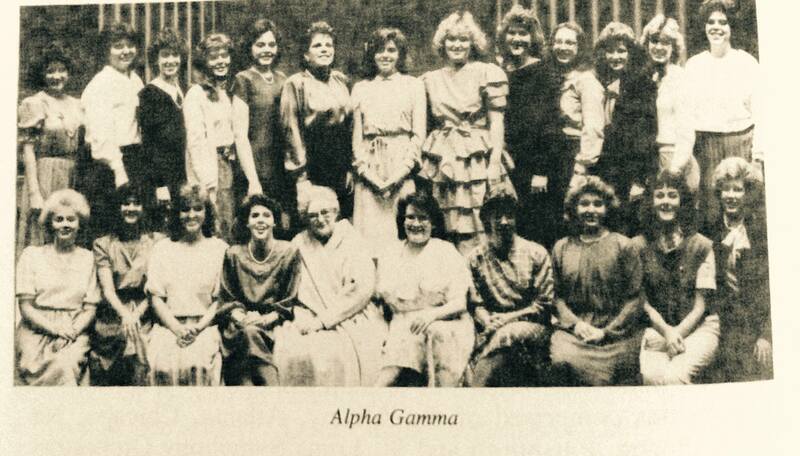 My senior year, 1986, was Alpha Gamma’s 20th anniversary. Alpha Gamma was blessed at that time to have Mrs. Daisy Heard as our Chapter Mother. This dear lady knew all sorts of interesting people and famous musicians, and she had accumulated tons of memorabilia from operas, concerts and events she had attended over the decades. I always describe her as an expansive presence and a force of nature, the kind of lady I’d like to be when I grow up. Our chapter has always been filled with people like that, the kind I want to emulate. The kind I want to have as friends. Flash forward to 2006. I had been to my 20 year reunion at Homecoming and had finally started to feel like an adult (more or less!) and I was looking for a way to give something back to the school and the music department. So I met with Ms. Jones and asked if Alpha Gamma had a Chapter Mother, and at that point, they did not. She got the ball rolling and I was installed in December 2006. 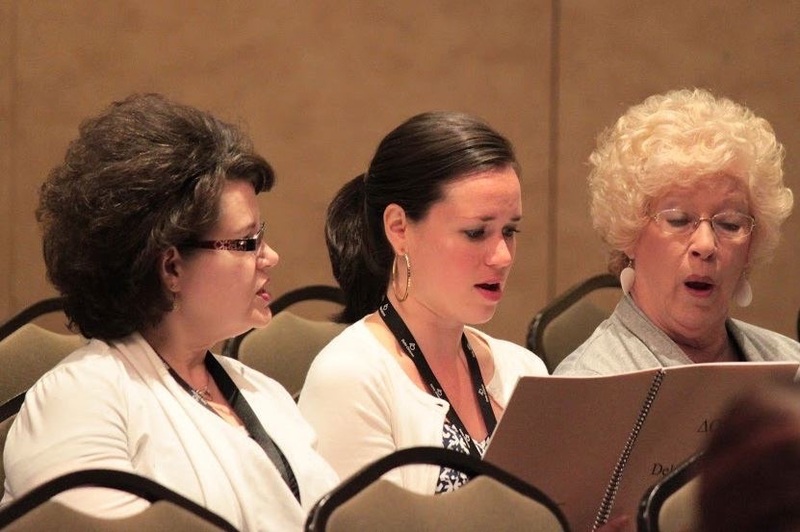 My next Conference (and first as a Chapter Mother) was the Hundredth Anniversary Conference in 2009, with Ms. Jones and our chapter delegate, Allison (now the Zeta South Province President and giving back as well). The Fraternity that meant so much to me as a student welcomed me back to encourage new generations of student musicians! When I meet new students who are considering membership, I always share what my student days in Delta Omicron meant to me, so much so that I wanted to come back and serve as Chapter Mother. I have watched students come and go, perform recitals, graduate and carry music into the rest of their lives. Some have married and had children; some have earned master’s degrees and beyond; many are church musicians and school music teachers. And I am proud of them all. With the advances in technology and social media, we are now able to connect with members of chapters far and wide, sharing ideas, experiences and stories. It is a joy for me to be able to see what Fraternity students and alumni are doing in their lives, musically and otherwise. And it is a blessing to share face-to-face fellowship with “my kids” of Alpha Gamma as often as I can be with them. The gifts of music and friendship tie us to one another here and now. They also bind us to generations of other Delta Omicron members from the past and those yet to come. It is a blessed heritage indeed, one of warm memories and exciting possibilities. strengthened and honored, Lord, by Thee. 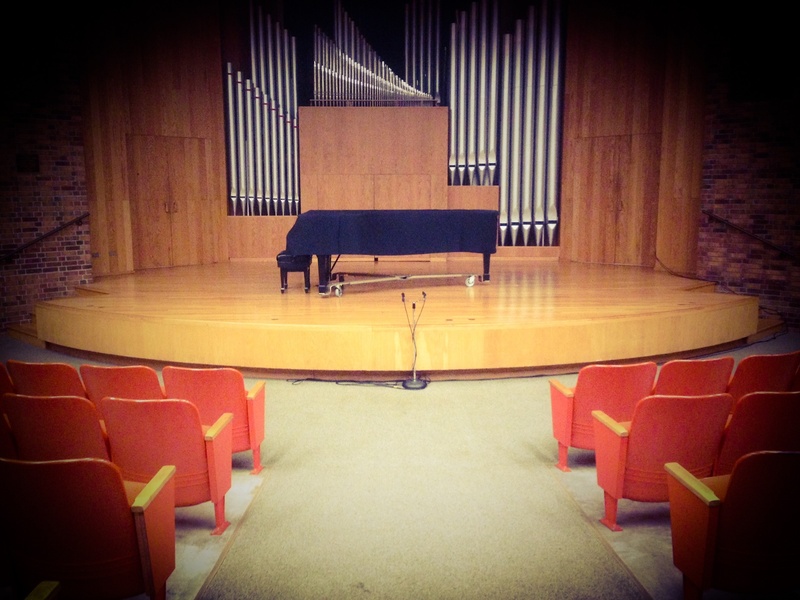 Recently I was back on the campus of Carson-Newman University for the senior piano recital of one of my Delta Omicron students. As the Alpha Gamma Chapter Mother, I do my best to attend these students’ recitals and share a quick moment backstage beforehand for a picture and a prayer. I remember my own recitals and all the preparation that went into them, and how grateful I was to have support from friends and family in the audience. 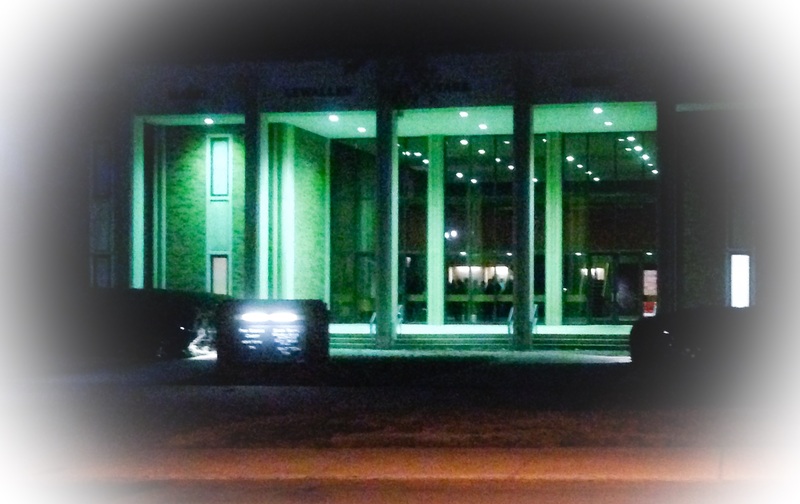 This particular evening I seemed especially nostalgic, remembering the hours I spent in the music building (often referred to in my circle simply as “The Building”), its classrooms, the recital hall, my voice teacher’s studio and especially my practice room. 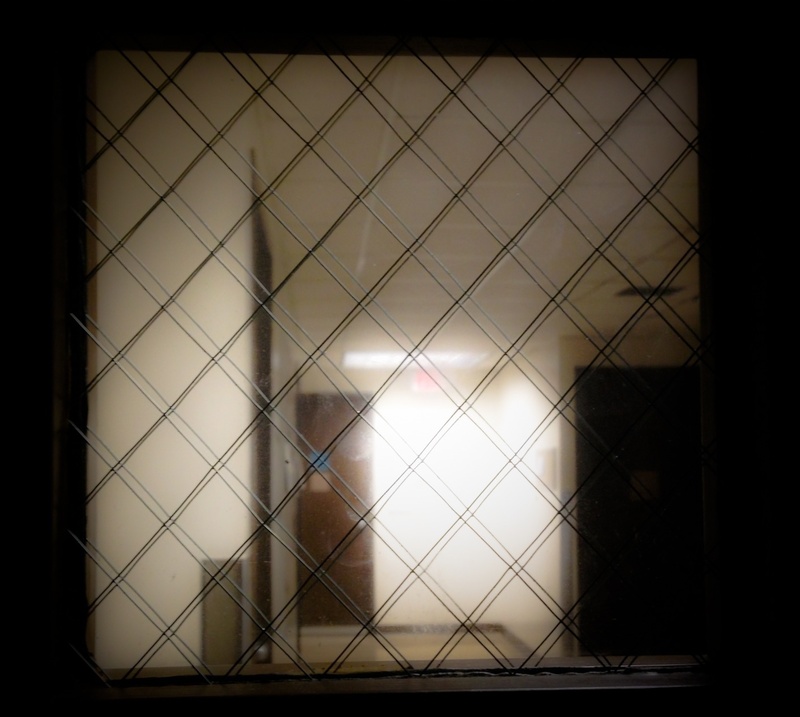 I describe it as “my” practice room, although other students practiced in there, of course. I adopted it as my favorite because an older student, Anita, whom I viewed as a mentor, used it more than any other room, and I hoped that by practicing in there, some of her good mojo would rub off on me! I’m not sure that happened; however, I did a lot of good work in that tiny space during my student years. My practice room was located next door to Dr. Paul Ridgway’s piano studio. The rooms, while decently insulated, were not soundproof. I often felt sorry for him and his students as I caterwauled my way through various vocal exercises before the real work of “practice” could begin. Sometimes the actual practice sounded like caterwauling, too! 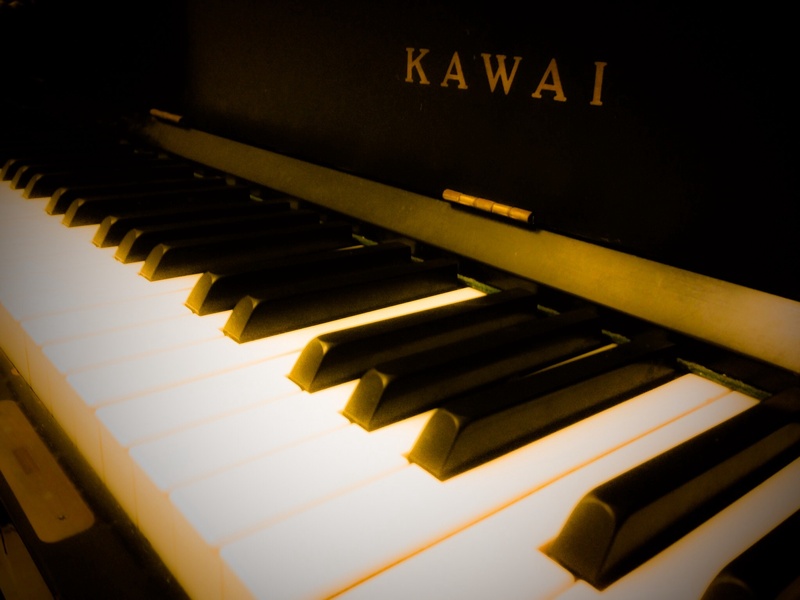 Although my major was vocal performance, I was required to pass a basic piano proficiency in order to obtain my degree. I had taken no piano lessons prior to college, and beginning class piano taught me in short order that I have no talent for the instrument. My talent for colorful language as I struggled to learn the rudiments of piano, however, grew exponentially! But I did love the bright sound of the piano in my practice room, even though my mistakes often made it seem to groan under my fingers. That same piano is still in my old practice room. And it still has the bright sound that I loved so much. That piano helped me find my pitches as I practiced my repertoire, from Schubert lieder to Italian art songs to the lush French jewels by Duparc that I loved so much. Not to mention the operatic arias! My accompanists and I worked through the musical periods, spanning centuries and continents from inside my practice room. I joke that I kicked the walls out of frustration so many times that my footprints are in the drywall, and that I swore and sweated so much as I worked in there that my DNA is still embedded in its walls, never to be removed! In truth, though, I did leave a great deal of myself inside those walls. 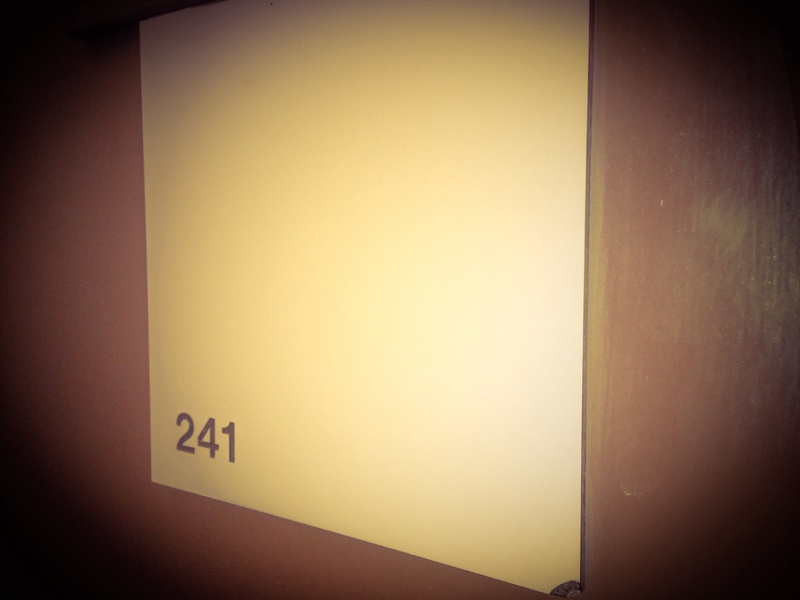 I sang, laughed, cried, stomped, cursed and made a lot of noise in that little room. And, every once in a while, I made music. I also prayed, gave and received encouragement, hugged friends and shared secrets in there. Some of the most beautiful notes I ever sang happened in there, with no one but God to hear them. I carry that little room inside me like my own DNA, part of the intricate web of elements and experiences that make me the woman I am becoming.